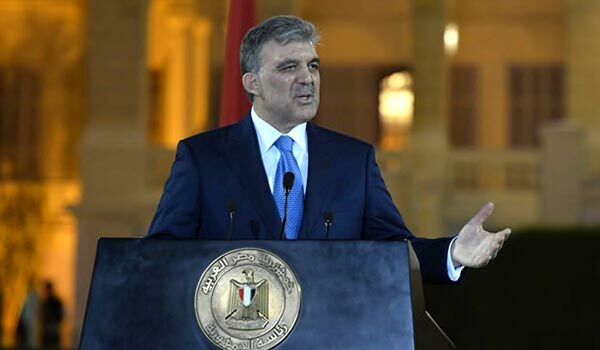 Turkish President Abdullah Gul has congratulated Armenian President Serzh Sargsyan on his victory in the February 18 vote giving him a second five-year mandate. “According to the information received from the presidency, Gul sent a message of congratulation to Sargsyan,” Anatolia news agency reported, without giving any further detail. Sargsyan and Gul were key figures in the now-stalled rapprochement process between the estranged neighbors initiated in 2008. The diplomatic protocols signed in October 2009 for the normalization of relations have not been ratified since then, with officials in Yerevan and Ankara accusing each other of torpedoing the process. Earlier, Sargsyan also received congratulations from other world leaders, including Russian President Vladimir Putin. These congratulatory messages come amid what looks a continuing post-election crisis in Armenia, with the official runner-up, Raffi Hovannisian, disputing Sargsyan’s victory. Among those who congratulated Sargsyan on his victory so far have also been Karabakh President Bako Sahakyan, former President of Armenia Robert Kocharyan (who, by the way, did not go to the polls as he was outside Armenia on the election day), the heads of both sees of the Armenian Apostolic Church, Catholicos Karekin II, of Etchmiadzin, and Catholicos Aram I of the Great House of Cilicia. Addressing thousands of his supporters in Liberty Square in Yerevan on Wednesday, Hovannisian said he was himself a follower of the Armenian Apostolic Church, but denounced the early congratulations to a politician from the clergy.